18k Gold vermeil over Sterling silver Butterfly pendant necklace by Paula Rosellini. 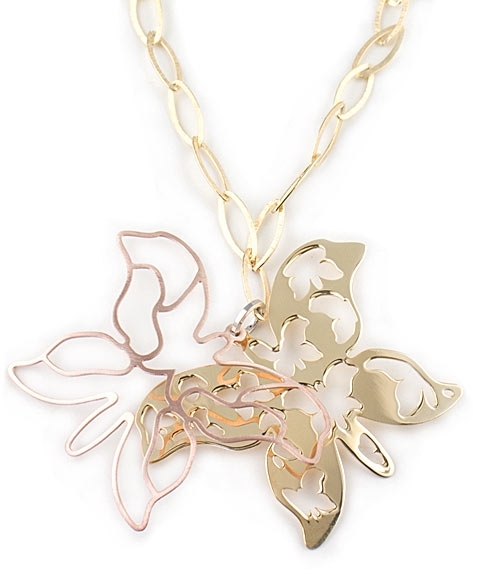 This beautiful designer necklace features two 60 x 45 mm butterflies both realised in Italian sterling silver and finished in 18k gold vermeil; one in yellow gold and the other in rose gold. 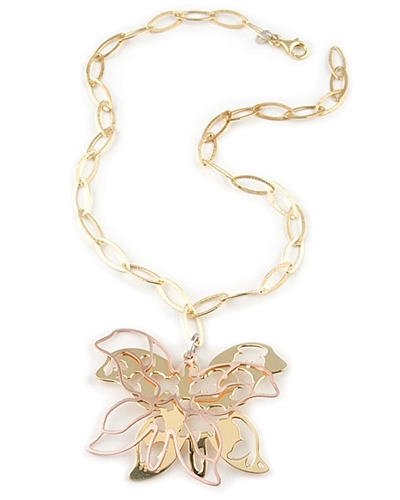 Pendants hang from a 18 karat gold vermeil over sterling silver hammered link chain.